On July 23rd, 2013, Cara Ellison of Rock, Paper Shotgun, wrote a short exciting article about a yet unheard of game called "Disrupt." Lekë Dobruna a developer, according to the RPS, based in Pristina, Kosovo at the time of the article expelled an intriguing game. 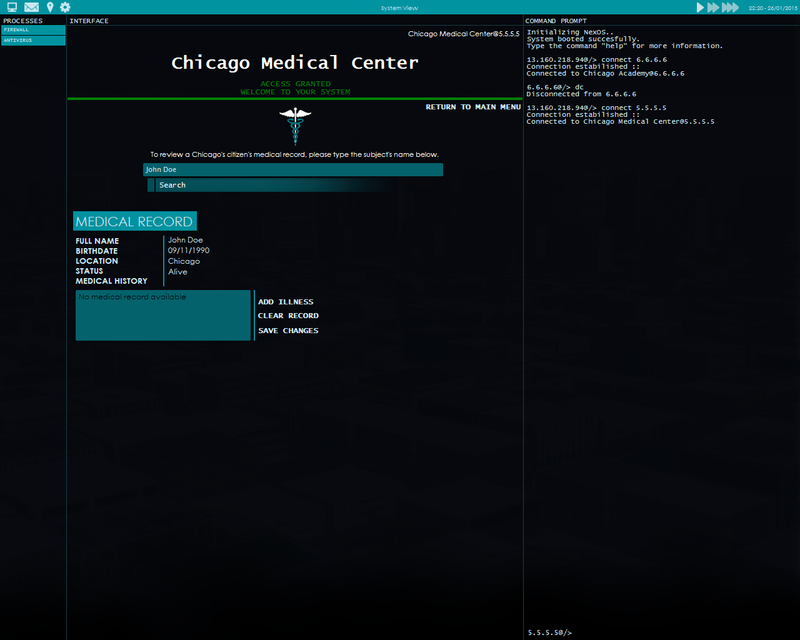 A game where you the player find yourself in the role of a powerful hacker. A hacker who accesses secret governmental systems, all for personal gain. There were side missions, hardware upgrades, software downloading, and city to city travel. As of Febuary 13th, 2015 we have nothing but silence. The website is down, nothing from twitter. is this dead? Originally I was typing words like dead, D.O.A., deceased, and departed. But in reality M.I.A. (Missing in Action) is the best way I can describe Disrupt's current status. M.I.A. is also the best way I can find to describe any current news, and comments, about the game Disrupt. Out of curiosity I have chosen to try and document as complete a history of Disrupt, from hype to today. Unfortunately the DisruptGame website has for the most part also gone M.I.A. Showing only the cryptic word "Loading" as proof that the domain is still active. I will also try and provide as much information as I can about those who appear to be involved with Disrupt. 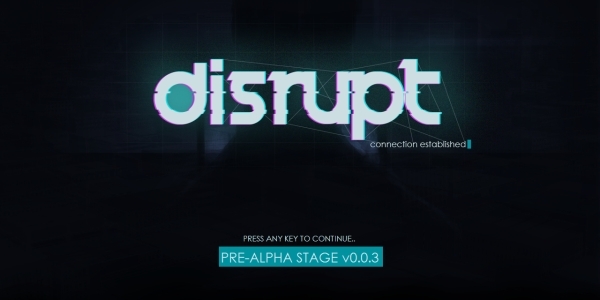 Lekë Dobruna tweets "V.I.K.I Alpha build v0.1 release: http://uvlabs.co.cc/?p=35"
disruptgame.com/ html page title changed to "Disrupt - Coming Soon"
@disruptgame tweeted "Happy to announce that Disrupt has been Greenlit in Steam along 49 other titles. Thank you for the support!" Last YouTube video user Lekë Dobruna "liked"
"Nothing we can post about yet but we're still working on it. :)"
"The game is still in development"
Lord Piggleston created a discussion on steam labeled "Where are You." The website is down, nothing from twitter. Is this dead? The length of time with no update is what will kill your game before it even comes out. People are have already forgetten that this exists. Steam user "Leka74" last played "Left 4 Dead 2"
disruptgame.com/ html page title changed to "Disrupt"
While I was writing this post. Displays "This user has also played as: Lek"
"Assange ‘Em Up: First Look at Disrupt"
That's All for now, will update.